March is National Nutrition Month – a good opportunity to refocus on the foods that you’re eating and ultimately fueling your body with. According to Ann Wigmore, an early pioneer in holistic health, “the food you eat can be either the safest and most powerful form of medicine or the slowest form of poison.” Although food is pleasure, let’s not forget that its primary purpose is to provide the body with the vitamins, minerals, antioxidants and phytonutrients needed to energize the cells, improve circulation to the brain and assist in detoxification. March is National Nutrition Month! What are you feeding your 50-100 trillion cells each day? Start the morning with electrolyte-enriched water, a superfood smoothie and leafy greens to energize, balance hormones, and promote hunger and craving control. Additional ways to optimize health include adding more plant-based protein, upgrading the quality of your ingredients and adding spices. 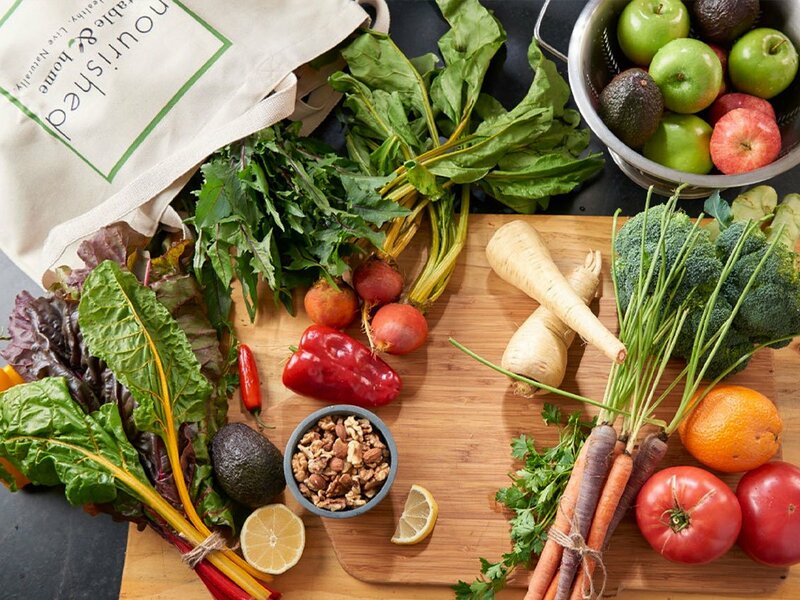 Join us for our Foundations Cooking Class: Clean Eating Kitchen to learn the best quality ingredients to stock for a healthy pantry, fridge and freezer! For a personalized approach to clean eating, consider Guided Grocery Shopping with our Nutritionist at Whole Foods® Hinsdale or Willowbrook. Start the Day with Electrolyte-Enriched Filtered Water – presumably, or should we say hopefully, each night you’re sleeping 7-9 hours (a very active process involving cellular repair and hormonal balance). Since you’re not eating or drinking anything to replenish during this period, you naturally wake dehydrated. Energize the body, flush the liver, encourage a bowel movement and stimulate digestion by drinking 16-20 ounces of room temperature, filtered water with either a squeeze of fresh lemon, pinch of Celtic Sea Salt® or packet of Electrolyve® first thing in the morning. Superfood Smoothie for Breakfast – breakfast sets the tone for the entire day. When done correctly, a morning smoothie is a great way to pack in the essential nutrients, fiber and protein that will keep you balanced, energized and focused throughout the day. If you’re new to smoothies or want a no-fuss solution, shop the Nourished® Kitchen Market to explore our nutritionist-developed Superfood Smoothies available in 8 different varieties. These convenient, ready-to-blend organic smoothies are packed with prebiotics, probiotics and 9 grams of grass-fed collagen. Plus, they’re sold frozen – to enjoy on your time – which means more nutrients, better flavor and guaranteed freshness! 2-3 cups of Dark Leafy Greens – organic, dark leafy greens are your best source of minerals, the electrical spark within our bodies. According to nutrition expert and physician Dr. Michael Greger, 96% of Americans don’t reach the minimum recommended 3 cups of greens per week. From kale and spinach to arugula, collard greens and swiss chard, the darker the green, the better. Try to get these in at every meal – i.e. spinach in your smoothie, a big salad at lunch and pesto atop noodles at night. Bonus: herbs count! Add parsley to beat the bloat, basil to help balance stress and cilantro to detoxify heavy metals. 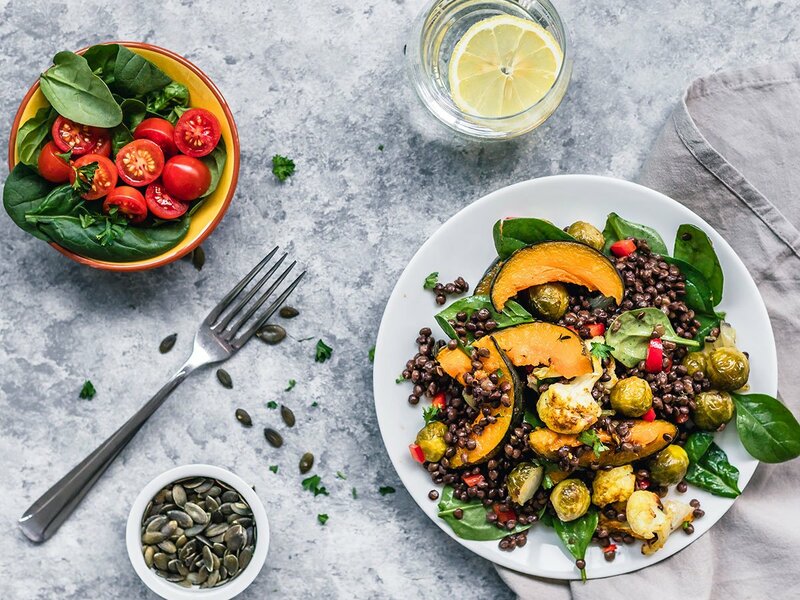 Eat More Plant-Based Proteins – animal protein, especially chicken, turkey, pork and red meat, is highly acidic, hard to digest and often contains artery-clogging, inflammatory fats. Furthermore, factory-farmed animals are raised in confinement, pumped with hormones and antibiotics, and fattened up on grains that are polluted with GMOs, pesticides and glyphosate. Plants – vegetables, fruit, legumes, nuts, seeds and whole grains – give you the most bang for your buck, providing a wide range of nutrients and ever-important fiber. According to Dr. Greger, less than 3% of Americans meet the minimum daily requirements for this detoxifying, heart-healthy nutrient – thus explaining why the average American is walking around constipated, overweight and crabby. Legumes (beans, peas, lentils), hemp seeds and quinoa are a few sources of high-protein plants that can be substituted for animal protein. Improve Food Quality – quality over quantity is so important! Get healthy without much effort by simply using better ingredients such as organic produce, pasture-raised and wild-caught animal protein and unrefined sea salt. Not sure where to begin? Join us for our Foundations Cooking Class: Clean Eating Kitchen. Led by our Wellness Chef and Nutritionist, you’ll learn how to properly stock a health pantry, fridge and freezer (including brand names) – the secret to success when it comes to clean eating. Looking for a more personalized approach? Consider Guided Grocery Shopping with our Nutritionist for a one-on-one experience tailored to your needs and dietary preferences! Add Spices – spices are often used to change the flavor of a dish, but did you know that they can also have a big impact on digestion and overall health? A few of our favorites are inflammation-fighting turmeric (2000% more absorbable when paired with a healthy fat and black pepper), circulation-promoting cayenne pepper and blood-sugar-balancing cinnamon. 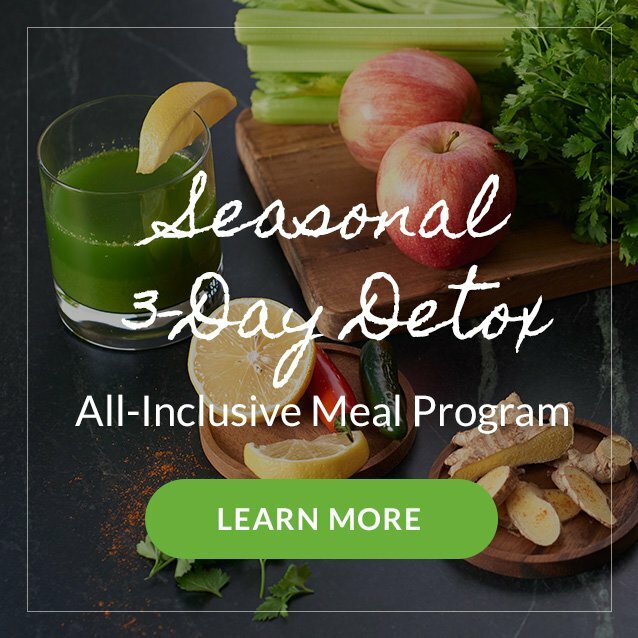 Stop in the Nourished® Kitchen Market to check out our line of Health-Boosting Spice Blends, available in six different varieties to aid with detoxification, digestion, boosting the immune system and more! By eating real food, drinking filtered mineral water, upgrading your ingredients and adding spices, you support and balance the body which will result in better energy, mood, digestion, and memory and cognition. Just remember, every bite you take affects every one of your 50-100 trillion cells by increasing efficiency and energy production, or slowing your body down. The question stands: what are you feeding your cells on a daily basis?